A couple of years ago I made Ghostbusters cupcakes using this recipe from Rosanna Pansino of Nerdy Nummies. I wanted to make them again this year for a Friendsgiving gathering when I came across this video for Stay Puft cupcakes and decided to make those instead. I took some liberties and put my own spin on things. Here's how I did it. I apparently really like batarangs. But who doesn't?!? I made one out of foam last year and I 3D printed one about a month ago. Now, after seeing Justice League, I felt the urge to print another one. This time, it's the latest Affleck version from Batman V Superman and Justice League. 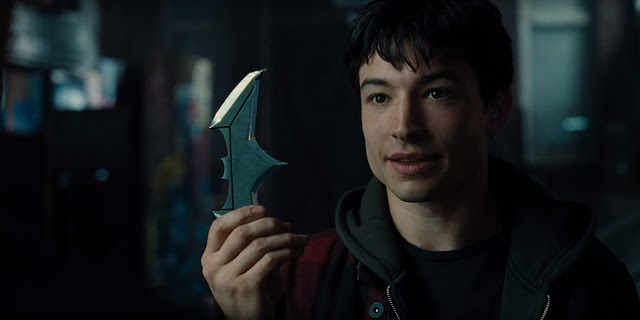 Here's the Flash asking if he can keep it.